VANCOUVER, BC – For nearly as long as there has been rugby played in British Columbia, the question of where the province’s best players hail from has captivated and polarized fans. 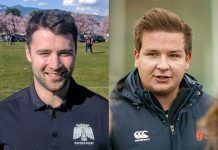 The Vancouver Rugby Union (VRU) has been organizing Representative teams since 1906 to take on challengers ranging from Vancouver Island to the BC interior to international touring sides like the New Zealand All Blacks. 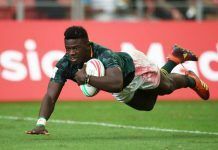 This year promises to usher in another group of talented local rugby players. 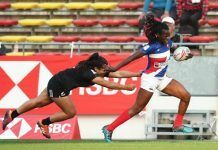 With club rugby competitions wrapping up in early May, the focus will shift immediately to Representative Rugby matches taking place in the coming weeks, including fixtures for the VRU’s Senior Women, Senior Men and U23 Men. The players suiting up for the VRU will be in and ideal position to make a positive impression on BC Rugby selectors in attendance, with enticing provincial team opportunities on the horizon. 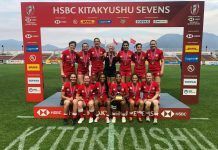 Rugby fans will be treated to yet another edition of the classic Vancouver vs Island rivalry on May 12 as the Vancouver Wave Women battle for the Ruth Hellerud-Brown Cup. The venue for this match has been confirmed as Westshore RFC, located at 1767 Island Hwy, Victoria, while kickoff time is to be announced. 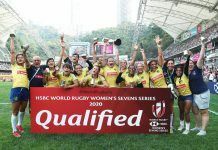 The Wave team has historically been a springboard for Vancouver-based players aspiring to play provincial and national rugby, with nationally capped players such as Andrea Burk, Hillary Leith, Carolyn McEwan, Demi Stamatakis, Gillian Boag and others having made their mark with the Vancouver Wave in recent seasons. The women will be training on April 25, May 8 and May 10, starting at 7:00pm, at Burnaby Lake Rugby Club. All Senior Women’s rugby players who aspire to represent their city, with an eye toward provincial and national team opportunties, are strongly encouraged to attend these sessions. 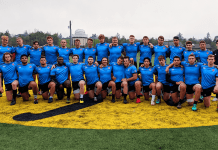 The VRU Men square off against the Vancouver Island Crimson Tide on May 26 for the McKechnie Cup, with the match likely to played at Westhills Stadium in Langford, BC, as a curtain raiser to Canada ‘A’ vs the Ontario Arrows. Kickoff time is to be confirmed. seasons include Admir Cejvanovic, Callum Morrison, Harry Jones, Connor Trainor, Jordan Sandover-Best, Brock Staller, Jared Douglas, and others. Training for this year’s squad will take place at Capilano RFC in West Vancouver on the evenings of May 14, 16, 21 and 23. Interested players are encouraged to attend all four sessions. Details are also being finalized for a U23 Men’s edition of the Dunbar Keg. 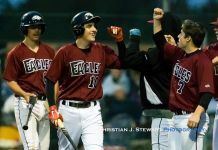 The Vancouver Wave U23 Men will face the Fraser Valley U23 Men on May 12th, with the winner moving on to face the winner of Vancouver Island North vs Vancouver Island South on May 26th in Langford. Venues and kickoff times are forthcoming. These will be critically important selection games, as players will be evaluated and scouted for inclusion on additional provincial pathway teams. “I’m keen to see which players perform well in this U23 group, as opportunities could easily open up at the senior level in the near term for those with the right skills and attitude,” said Vancouver Senior Men’s Coach, Curry Hitchborn. Opportunities will also be available for selection to an elite U23 BC Provincial Team which is set to compete against the Canada U20 side. That match is scheduled for Friday, June 1st 2018, during the BC High School rugby (BCSSRU) championships in Abbotsford. The Vancouver Rugby Union U23 Men’s team will be coached by Bruce Bowman. A training and evaluation schedule will be announced shortly. Interested players should contact Coach Bowman at bruce.capilanorfc@gmail.com.